Miss Muffet has been able to recall the names of the authors of her favorite books for a while, but now she is beginning to recognize those same names even on books which are new to her. She was thrilled, for example, when she realized that The Relatives Came and the Poppleton books were both by Cynthia Rylant, and when I pointed out that The Doorbell Rang was written by the same author as Titch, her whole face lit up. She gets a real kick out of the idea that one person would write so many of her favorite books. Miss Muffet has also become very interested in comparing different editions of the same book. 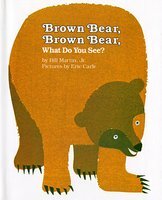 We recently purchased an older copy of Brown Bear, Brown Bear, What Do You See? with the original illustrations, which includes all the same animals, but has a mother instead of a teacher at the end of the story. Miss Muffet sat down with the old and new versions and compared them page for page, noting all the differences in the animals, including which direction they were looking, and the colors of their eyes. We also borrowed both the picture book and board book editions of It Looked Like Spilt Milk from the library, with the idea that Bo Peep could hold the board book while Miss Muffet read the picture book with me. Miss Muffet immediately wanted to compare the two editions, and she was somewhat dismayed to discover that the board book was abridged. She also notices subtle differences between editions that we own and those that she sees on library and bookstore shelves. In terms of what she has been reading, Miss Muffet is very into nonfiction right now. 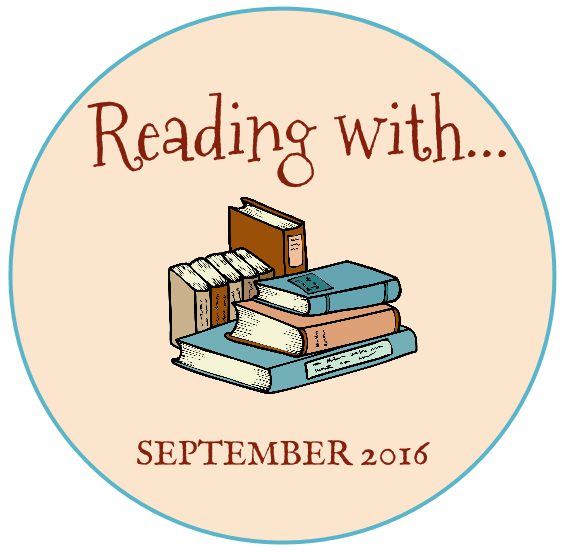 Topics of interest include horses, squirrels, buildings, stores, and nature. She also had a great time reading The Doorbell Rang and then retelling the story with me on the flannel board. At times when no one is available to read with her, we frequently hear her making up her own stories based on the illustrations and/or what she remembers hearing on previous readings. She also likes to "read" to her sister, though sometimes this looks a lot like grabbing a book away from Bo Peep and refusing to give it back. Speaking of Little Bo Peep, we are starting to see glimpses into her growing relationship with books. When heavily prompted, she does sometimes say "buh" to indicate that she sees a book in her vicinity. (This tends to happen a lot in used bookstores when she is surrounded by nothing but bookshelves.) She also likes to hold up books and show them to anyone who is willing to look. She still doesn't get as much one-on-one reading time as her sister did at this age, but she has recently enjoyed A Splendid Friend, Indeed by Suzanne Bloom and Octopus Alone by Divya Srinivasan. She also loves Brown Bear, Brown Bear, and enjoys pointing to each animal's eyes. Further evidence of Bo Peep's love for books is her constant need to pull them down from their shelves on top of herself. Her playpen is set up near the living room bookshelves, and every few days, she will get it into her head to pull on a few of the books and see if they will come down. She has a particular obsession with the Gossie books by Olivier Dunrea and The House in the Night, which have been temporarily relocated to prevent their being ripped by her eager little fingers. For her birthday this coming weekend, Bo Peep will receive several books: Stanley's Shapes and Stanley's Colors by William Bee, The Baby's Catalogue by Janet and Allan Ahlberg and (from Miss Muffet) Peekaboo by Janet and Allan Ahlberg. We are hoping she will love Stanley as much as the rest of us do, and we know she will love looking at babies in the two Ahlberg books.